SAN DIEGO'S LARGEST ANTIQUE DESTINATION, THE OCEAN BEACH ANTIQUE DISTRICT, is where you'll find the greatest concentration of antique and collectible shops in San Diego County, all filled with ever-changing furnishings and design ideas for your home. For two decades this popular hot spot on Newport Avenue has been the main source for homeowners, designers, collectors and those in the trade. 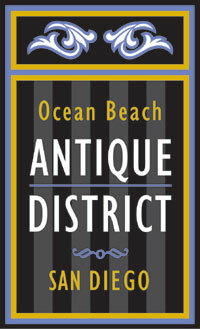 The district can provide a full day of treasure hunting or be your first choice when looking for that particular piece. In one of the most unique beach communities in San Diego, the district encompasses two blocks, all within walking distance, and all within view of the Pacific Ocean! ALL STORES ARE OPEN EVERY DAY. 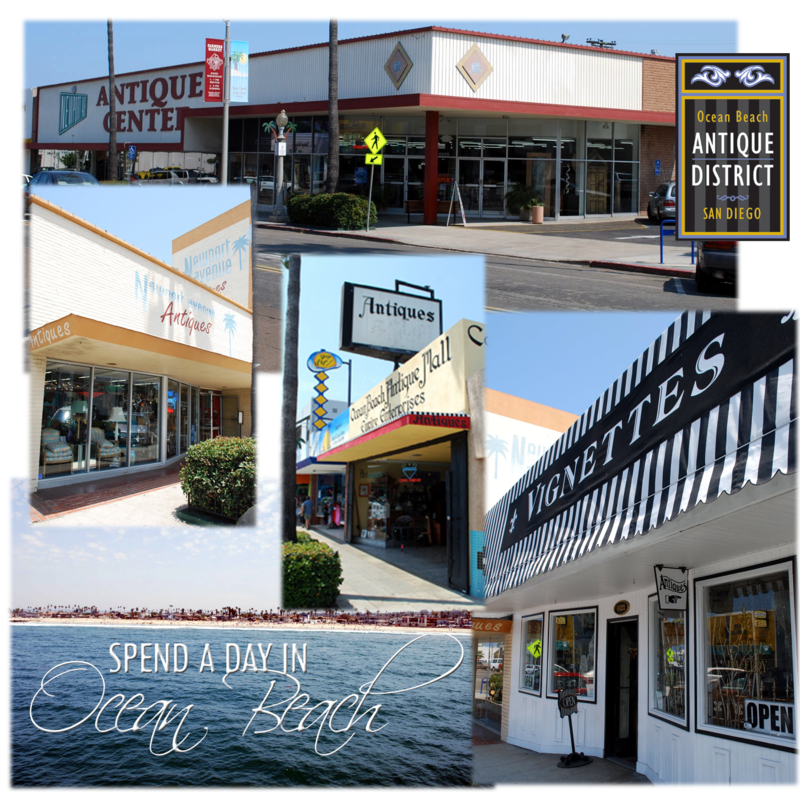 Showcasing extensive and impressive collections covering all time periods, styles and prices, come see why our district has often been named "Best Antique Shopping" in San Diego..And...while you're here on our district web site.....be sure to check out the individual stores' blogs and/or individual web sites!! 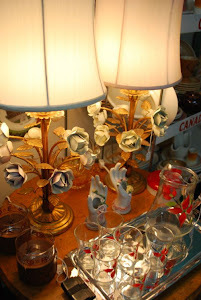 18,000 square feet of quality antiques and collectables, from the 1700’s to Mid-century items. Asian antiquities, vintage and fine jewelry, furniture, lighting, 50’s memorabilia and a vast selection of shabby chic décor. Showcasing one of the largest paper dealers in the country including fine prints, labels and thousands of postcards. This is the largest multi-dealer mall in San Diego and features a gourmet coffee house.